Rapid, reliable, and economical processing of road users is essential when collecting toll charges at bridges, tunnels and on roads. 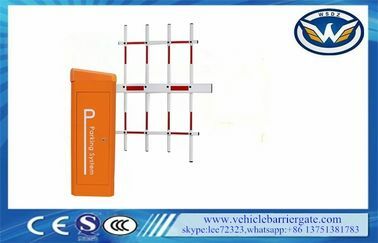 Toll Barriers from Magnetic have been specially designed for this situation. the barriers is characterised by its speed, lack of maintenance and energy efficiency, and thus keeps long-term costs down. The Toll Barriers can be adapted to meet individual requirements,the speed when closing can be adjusted.and it can be equipped with a variety of control devices, flanges and barrier booms. All barrier boom types can be provided with the optional swing-away flange. In the case of a collision with a vehicle, the barrier boom is released and can be manually re-engaged afterwards. This protects the barrier boom and the drive unit. There is also the optional auto-swing-away flange for the soft boom, which automatically re-engages after a collision with a vehicle. power off . Operating arm open and close by hand also can be realized by setting up control board DIP switch, which ensure that the system can be used at any time. 2. 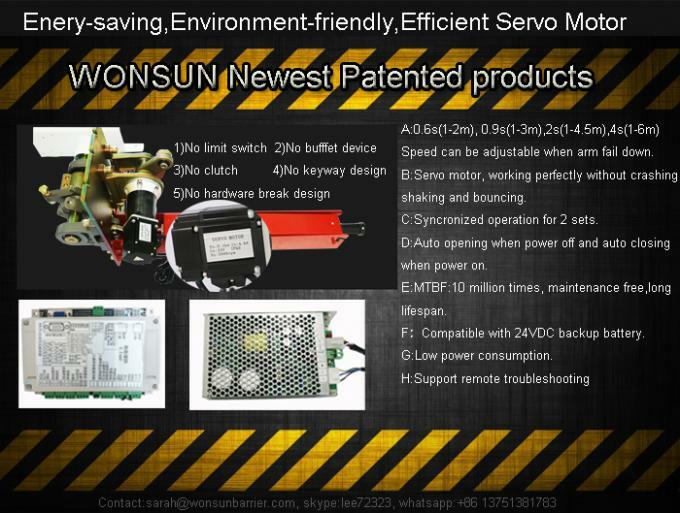 The use of Single Balance Spring device, good regulation, no noise, indefatigable, not easy to break, safe and reliable. 3. A variety of input and output modes can be selected, normally open normally closed optional. 4. Arm opening angle can be adjusted from 60 to 90 degrees, 10 degrees resolution, suitable for eaves prominent place to install. 5. Closing speed can be adjusted, 0.9S, 1.3S. 6. Barrier gate up&down signal relay switch output. 7. Barrier gate running state: OK signal output indicating that the gate is working properly. 8. Barrier gate operation abnormal alarm signal output. 9. Traffic light relay switch signal output. 10. External loop detector signal anti-smashing interface, infrared sensor signals anti-smashing interface. software or remote control to issue a gate arm up, the gate will give priority to the implementation of the opening action. 14. Delay down selection function. 18. Anti-collision alarm signal interface. Q: What's the order process? A: Follow the steps on below to complete your order. Invoice will be issued once the quotation is confirmed. Payment shall be issued once the invoice issued. Full payment is acquired. Bulk production shall be taking 15-25 working days. by sea, air or courier. Detailed picture of package will be provided upon the service you've chosen. Packaging info will be sent upon confirmation.